A Supreme Court bench of Chief Justice P. Sathasivam, Justice Ranjan Gogoi and Justice Shiva Kirti Singh while setting aside the contempt proceedings initiated by the Madras High Court on January 19, 2012 against ONGC chairman and managing director Sudhir Vasudeva for not obeying with its order for creating excessive posts of a marine assistant radio operator, stated that under the constitution as well as a law, the Supreme Court and the High Courts are conferred with the power to punish for contempt, which is a special and rare power and thus, it should be exercised with greatest of care and caution. While hearing a contempt plea in respect of its earlier order of Aug 2, 2006, the High Court had ordered the creation of the posts. The apex court in Sudhir Vasudeva, Chairman & Managing Director, ONGC & Ors. Vs. M. George Ravishekaran & Ors., stated that contempt of court is an extreme power which, if misused, could even restrict the liberty of the individual charged with commission of contempt. The respondents filed an appeal in the contempt proceeding, being aggrieved by a direction of the Madras High Court in exercise of its contempt jurisdiction to create supernumerary posts, who were engaged as Radio Operators on contract basis in the Oil and Natural Gas Corporation Ltd., a Public Sector Undertaking, inter alia, engaged in on-shore and off-shore oil and natural gas exploration. The question that came up in the present appeal, is whether the appellants who are the officers of the Corporation and had complied with the alternative direction contained in the order dated 2.8.2006 passed in Writ Petition (C) No. 21518 of 2000 would still be liable for commission of contempt and the only way in which the appellants can purge themselves of the contempt allegedly committed is by creation of supernumerary posts of Marine Assistant Radio Operators. An answer to the above question focused around the outlines of the power of the Court while exercising its contempt jurisdiction. As per the reports Shri Goolam E. Vahanvati, learned Attorney General for the appellants advocated that the question of the very necessity of having/continuing the posts of Marine Assistant Radio Operators in the Corporation was a live issue in Writ Petition No. 21518 of 2000 as the Corporation had argued that the work requirement of the Corporation did not explain the continuation of the post in the cadre of Marine Assistant Radio Operators, particularly, in the SRCB where the Corporation was not engaged in any off-shore operation. In a situation where the operational requirements of the Corporation did not justify the withholding of the posts of Marine Assistant Radio Operators any further, its officers cannot be blamed for not creating supernumerary posts of Marine Assistant Radio Operators and instead creating posts of Junior Helpers to accommodate the respondents and thereafter giving them protection/parity of pay in terms of the option granted by the High Court. It was further submitted by him that there being no direction for creation of posts of Marine Assistant Radio Operators in the order dated 2.8.2006 it was beyond the power of the learned Judge, hearing the Contempt Petition, to issue such a direction and therefore, according to him, order of the Division Bench dated 11.7.2012 impugned in the present appeal was, therefore, open to interference in the present appeal. The contention of Shri P.P. Rao, learned senior counsel appearing for the respondents was that an obligation to create supernumerary posts of Marine Assistant Radio Operator is mandated by the very terms of the Order dated 02.08.2006 passed in Writ Petition No. 21518 of 2000. His contention was that when supernumerary posts of Junior Helpers have been created and parity of pay with the higher post has been granted it is difficult to conceive why supernumerary posts of Marine Assistant Radio Operator were not created in order to fully comply with the Order of the High Court. After hearing Shri Goolam E. Vahanvati, learned Attorney General for the appellants and Shri P.P. 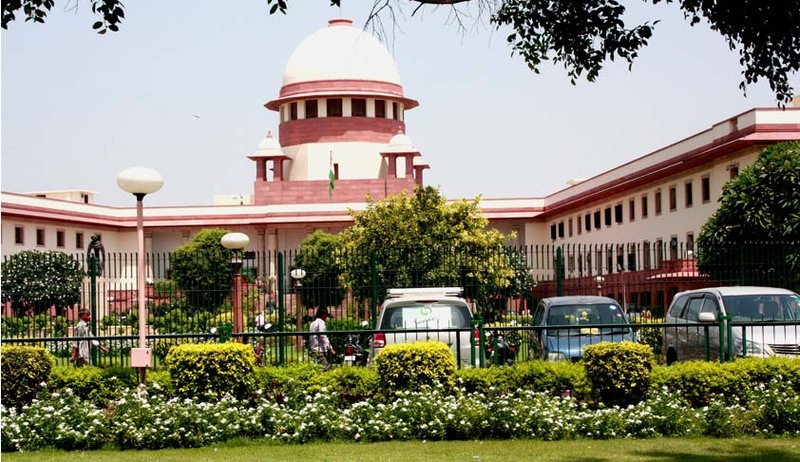 Rao, learned senior counsel for the respondents, the apex court bench held that that courts must not travel beyond the four corners of the order which is alleged to have been disobeyed or enter into questions that have not been dealt with or decided in the judgment or the order violation of which is alleged. Only such directions ought to be taken into account, which are obvious in a judgment or order, for the purpose of consideration as to whether there has been any disobedience or willful violation of the same. The Justice Gogoi speaking for the bench stated that decided issues cannot be reopened; nor the plea of equities can be considered. Courts must also ensure that while considering a contempt plea the power available to the Court in other curative jurisdictions like review or appeal is not trenched upon. It stated that the Court while exercising jurisdiction in the domain of the contempt law should not issue any order or direction accompanying to what has been already expressed; such an exercise is more appropriate in other jurisdictions vested in the Court, as noticed above and supported these principles on the precedents cited at the bar, namely, Jhareswar Prasad Paul and Another vs. Tarak Nath Ganguly and Others, V.M. Manohar Prasad vs. N. Ratnam Raju and Another, Bihar Finance Service House Construction Cooperative Society Ltd. vs. Gautam Goswami and Others and Union of India and Others vs. Subedar Devassy PV. The appellants, as officers of the Corporation cannot be understood to have acted in willful disobedience of the said order of the Court. The apex court therefore set aside the Order dated 19.01.2012 passed in Contempt Petition No. 161 of 2010, as well as the impugned order dated 11.07.2012 passed in Contempt Appeal No.2 of 2012 and allowed the present appeal.